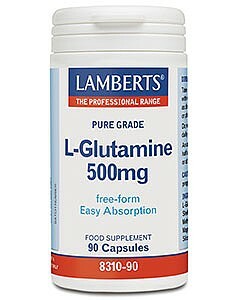 According to official data 72% of women and 42% of men in the UK fail to consume sufficient dietary magnesium. Subsequently, magnesium insufficiency has become commonplace. The effects of magnesium insufficiency are wide-ranging and include the occurrence of muscle cramps, fatigue and many symptoms of premenstrual syndrome. This important mineral is essential for bone growth and the proper functioning of nerves and muscles, especially those of the heart and lungs. A magnesium supplement is the ideal way to safeguard against a deficiency and bolster body stores, provided that the supplement contains a good level of the mineral and that it is in a form, which the body can easily absorb and utilise. 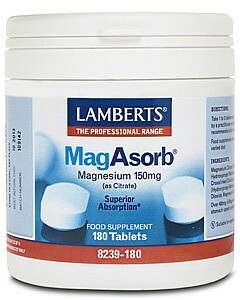 Lamberts® MagAsorb®, our clinically researched supplement, is now one of the UK’s leading magnesium products. 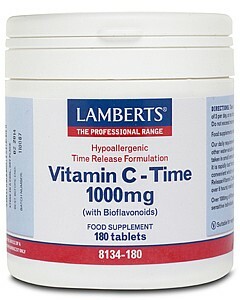 It provides highly bioavailable magnesium in citrate form. In tests comparing MagAsorb® with two other commonly used magnesium compounds, the absorption of MagAsorb® in the body was far superior. Our MagAsorb® is made in the UK and produced in premises that operate to stringent pharmaceutical standards of GMP. 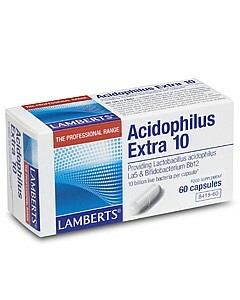 Each tablet provides a full 150mg of magnesium.